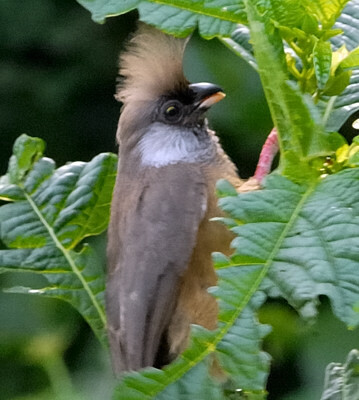 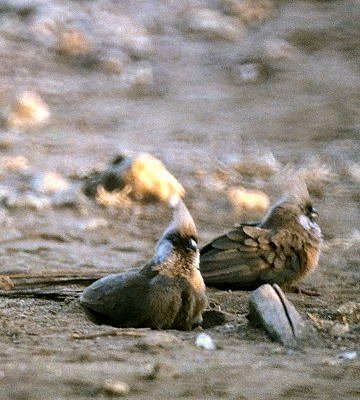 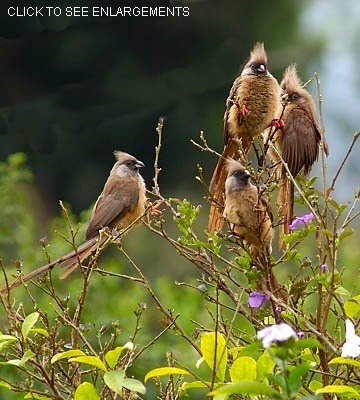 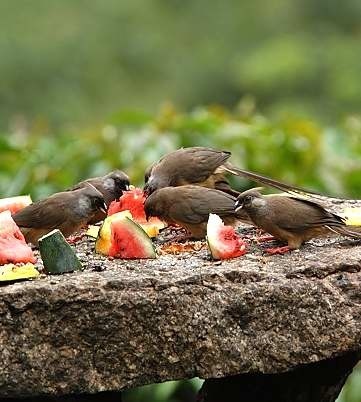 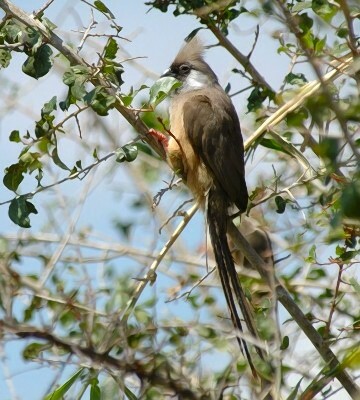 The speckled mousebird is common in moister habitats. 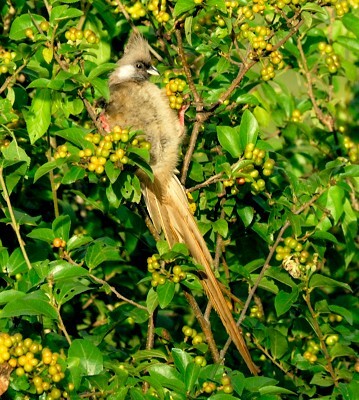 As these photos show, there is variation in the color of the body, bare areas and eyes and the neck may show fine bars. 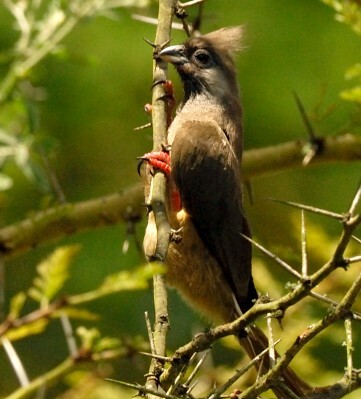 All mousebirds have reversible 1st and 4th toes allowing them to perch, hang and grasp easily. 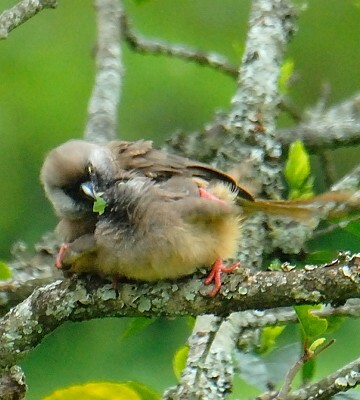 The juvenile with adults and watermellow was seen at Gibbs Farm (4-04). 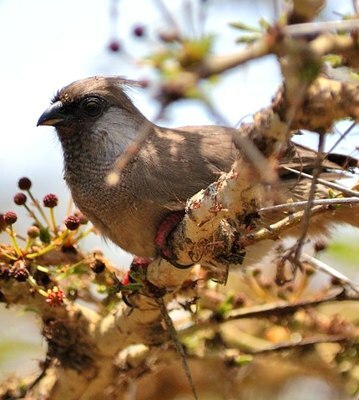 The other photos were taken in Olasiti, Arusha NP, Tarangire NP, Marangu, Simba Farm-West Kilimanjaro and Mkungunero. 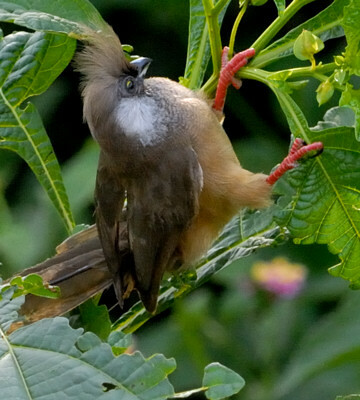 Click the photo above to see 20 enlargements.